The IndiEarth “Perform At GIMF” competition attracted a number of fantastic track submissions from across the country, for the opportunity to grab the spotlight, at The Guwahati International Music Festival, scheduled between 23rd – 25th November, 2012. After much deliberation, The Mangalz, a “Hindcore” band based in Delhi, have been selected from over 25 bands, and are the winners of the IndiEarth contest. 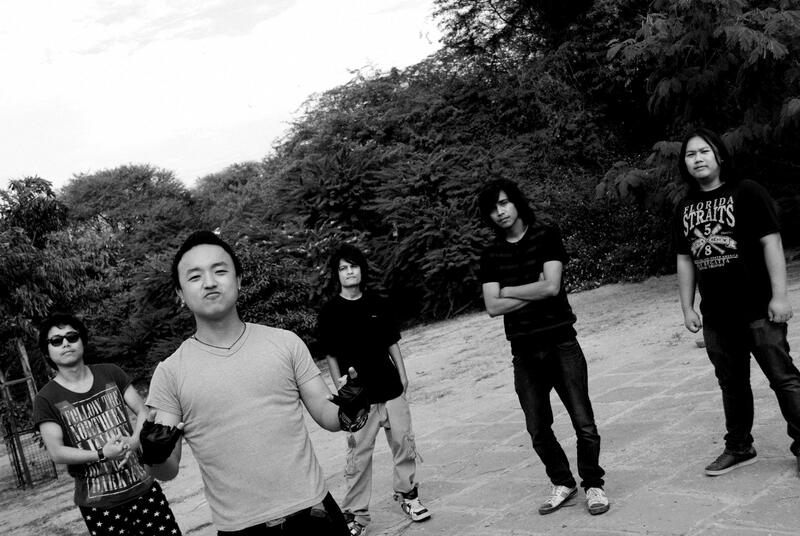 A Hindi Rock/ Metal/Metalcore band – or “Hindcore”, as they call themselves – The Mangalz are originally from the hills of North East India, but currently reside in Delhi. The band comprises X’Zing on vocals; Haggai on lead guitar; Daarjey on guitar; Baba on bass; and Sachin on percussion. When asked about what they are looking forward to at GIMF, Haggai replied “GIMF, we believe, is giving us a great platform to share our ideas, and is a place to connect with musicians of various experience, which is what inspired us to be a part of it. When various musicians and artists of various tastes comes together, only one thing is possible – and that is magic. We really look forward to meeting great minds, and learning and sharing at the same time”. GIMF 2012 is a music festival, conceptualized to showcase the best of regional, national and international talent, in the music field. The various events at GIMF include live music performances, lecture-demonstration sessions, film screening events, and display kiosks for professionals and firms from the music trade industry. Click HERE, for more on The Mangalz.